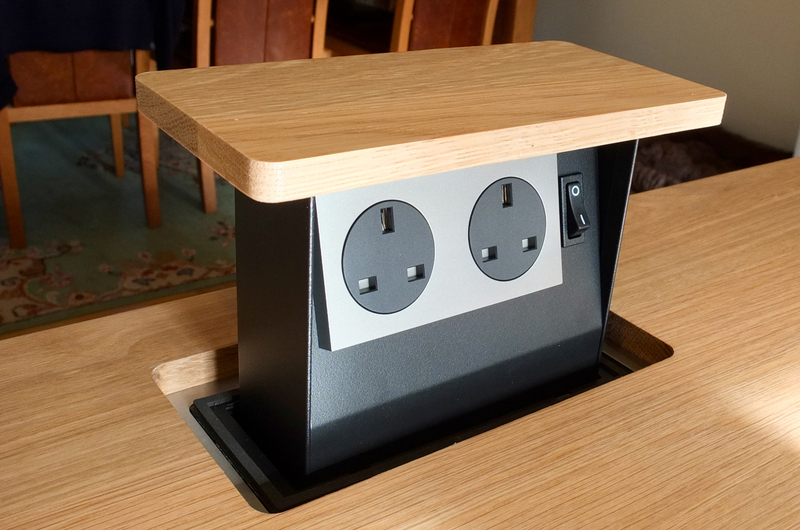 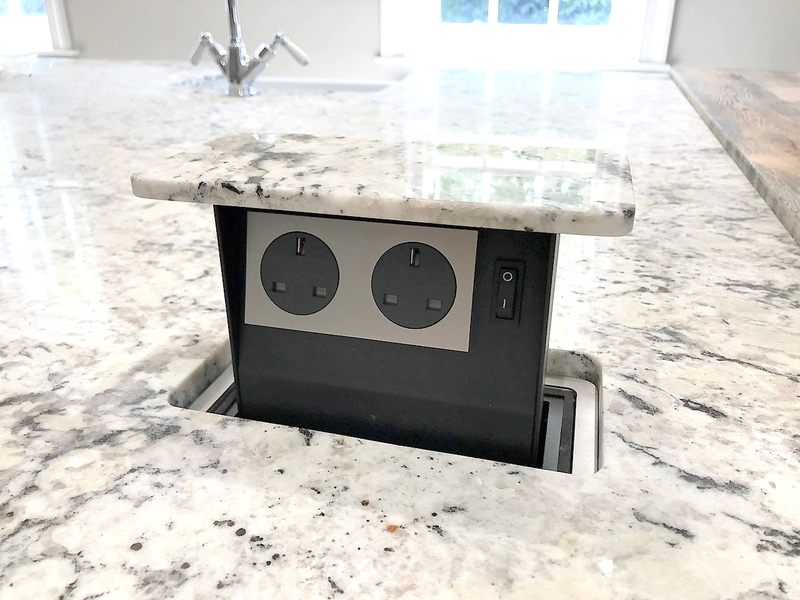 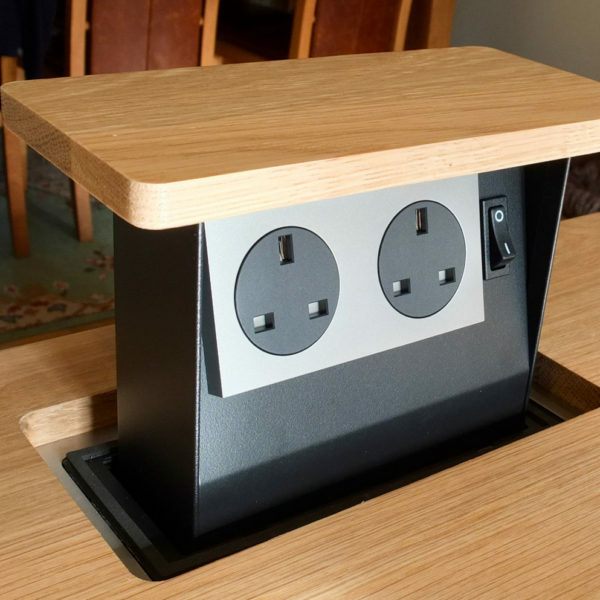 Our smallest pop-up socket Model, featuring two British Standard plug sockets and on/off safety switch. 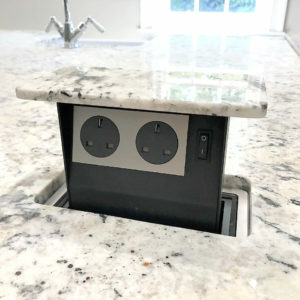 Unit is built in solid steel. 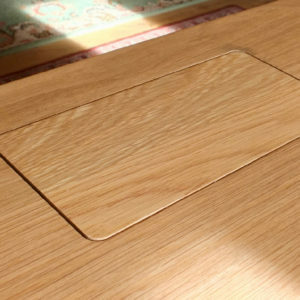 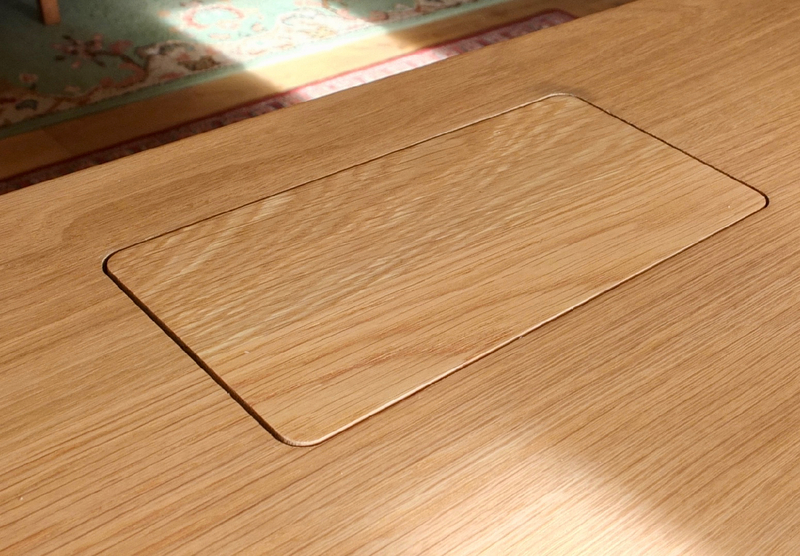 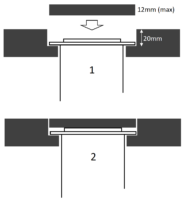 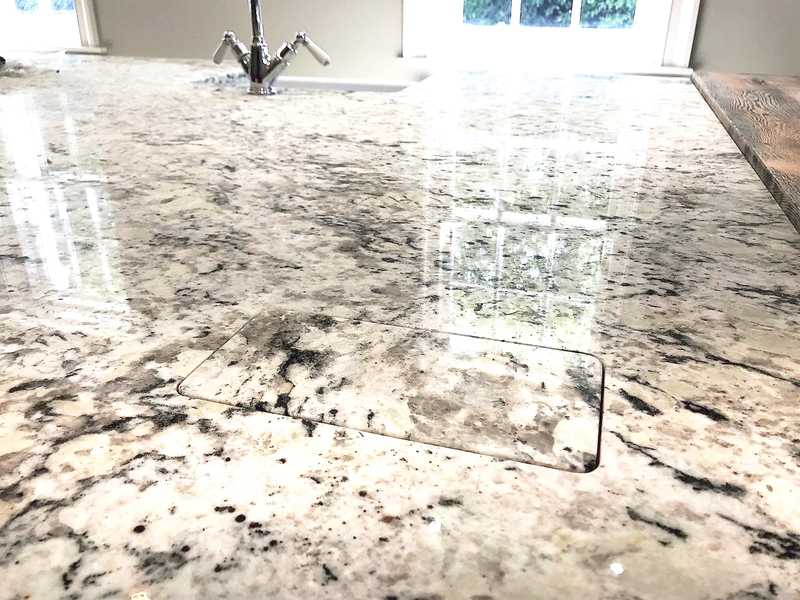 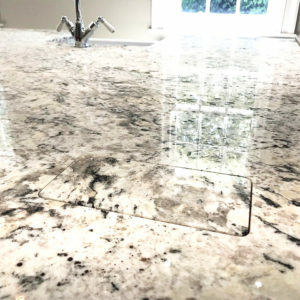 Note: Please consult with your worktop supplier to create the 20mm rebate & your custom top.